April, 2017 | Doug Turner Plumbing CO.
Could you even imagine living without the convenience of modern plumbing? 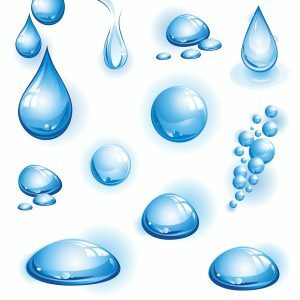 Hopefully, you’d never have to—every time you use the toilet, take a shower, run your dishwasher or washing machine, or take a drink from the kitchen sink, you are relying on a fully functioning plumbing system. This system delivers the water you need throughout your household, and drains the waste and wastewater away. Thinking about this—how much we are dependent on our plumbing systems—reminds us just how disruptive any problems with the system can really be. 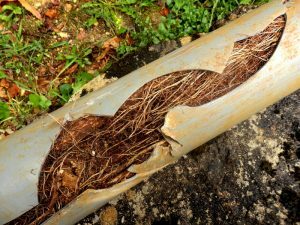 And one issue that impacts a lot more homeowners than you may realize is the damage that tree roots can cause to this system. There are a number of components that are critical to the successful operation of your home’s air conditioning system. The system works by relying on a refrigeration cycle to remove heat from the air in your home. During this cycle, moisture is created. Any excess moisture is controlled by the evaporator coil of your system, and released through your home by your condensate tray and drain. When something goes wrong with your condensate drain line, it turns into a plumbing issue—fortunately you can turn to our team for Sugar Land, TX plumbing services. But we’d like to help you avoid this problem if necessary.